Manufacturer & Exporter of Stainless Steel Alloys. Our product range also comprises of Steel Sheet and Plate, Stainless Steel Sheet and Steel Coil. We offer a wide range of Alloy 20 Forged Fittings that are manufactured from quality tested components. Known for its high quality and durability, these alloy-20 forged pipe fittings are widely used in various industries across the globe. We are renowned suppliers and exporters of Alloy 20 Pipe Fittings that are used in varied industrial applications. 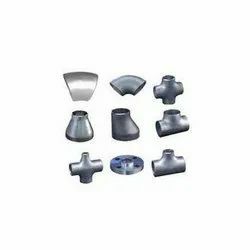 The pipe fittings are corrosion-resistant, finding many uses in alloys, as plating, in the manufacture of coins, magnets and common household utensils. 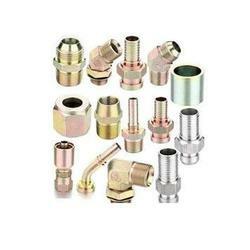 These fittings are manufactured using quality components and are highly durable and reliable. We are engaged in offering a wide range of Stainless Steel Alloys Pipe. 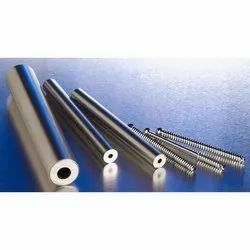 These products are offered in Stainless Steel Alloys bar stock with hole from end to end, in ODs of 0.118, 0.750 in. and IDs of 0.055, 0.354 in. 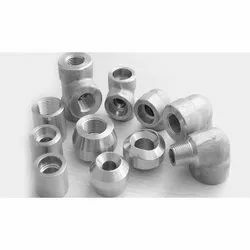 We are engaged in offering a wide range of Alloy Steel Fittings. Conforming to the defined parameters of the industry, these fittings are widely used in oil & gas sector, engineering, construction and petrochemical industries. 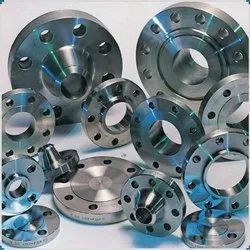 Our esteemed clients can avail from us quality range of Alloy Steel Fittings. We offer our clients with a wide assortment of Alloy Steel Pipe Fitting that is available in various dimensions and other specifications. These pipe fittings are widely used in several industries and are highly acclaimed in the market for their durability, sturdiness and corrosion resistant features. These are also subject to customization as per the discretion of our clients. Looking for Stainless Steel Alloys ?